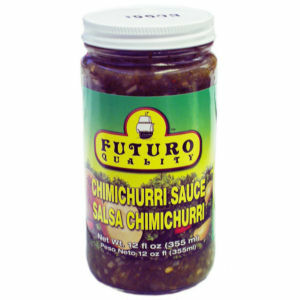 Taste the famous Futuro Chimichurri sauce for B.B.Q., meat, chicken and seafood. A very unique style and taste. Made with the best ingredients, consisting of fresh parsley, garlic, onions, red pepper, select spices and many more. This product is appreciated by Argentineans, South and Central Americans and all exotic food lovers.